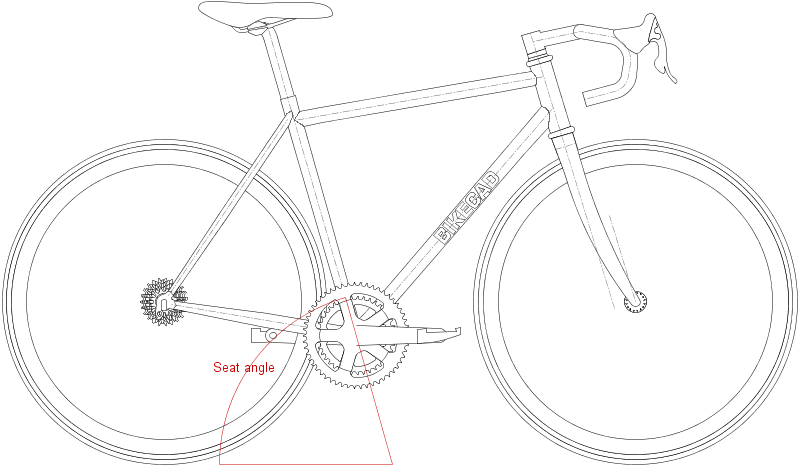 Seat Angle is the angle that the seat tube axis makes with the horizontal. Seat angle is measured clock-wise from the ground when viewed from the right side as shown above. For unconventional frame geometry, it may also be useful to display the effective seat tube angle or the angle from BB to top of seat tube.